ONE FIGHTING CHAMPIONSHIP IS ASIA’S LARGEST MIXED MARTIAL ARTS EVENT. ONE FC FEATURES THE BEST ASIAN FIGHTERS AND THE LARGEST PAN-ASIAN MEDIA BROADCAST TO OVER 28 COUNTRIES IN ASIA. Mixed martial arts (MMA) is the fastest growing sport in the world today. In true Darwinian fashion, the sport of MMA allows for any martial arts style to compete against any martial arts style in the most free of artistic expressions for martial artists. MMA athletes utilize the best techniques from any and all martial arts in order to compete standing up or on the ground. Whether it is Karate, Muay Thai, Kung Fu, Silat, Jiu-Jitsu, Judo, Kali, Shuai Jiao, Aikido, or other martial arts, Asia has been the birthplace and home of martial arts for the last 5,000 years. Mixed martial arts (MMA) is the most exciting evolution in centuries and is the future of martial arts. It combines the excitement of a prize fight, the athleticism of the Olympics, the tradition of martial arts, and the adrenaline of a rock concert. 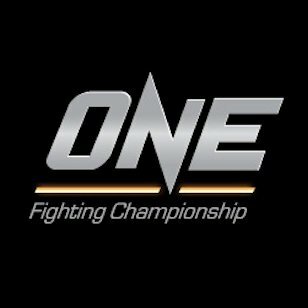 ONE Fighting Championship aims to host the most exciting MMA fights in Asia, featuring the top Asian fighters.